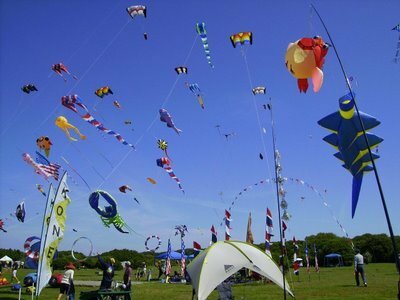 Enjoy a potluck picnic lunch with other Meetcha members and some of the Meetcha team while observing one of the world's greatest kite shows! It's gonna be a fun afternoon! Bring your own sandwich and a potluck side dish to share! Maybe you have a killer potato salad recipe or Auntie Joan's secret brownie recipe. Bring enough to feed 5 and we should have a feast! Note that there will not be a grill available. The Meetcha Team will bring paper goods and the non-alcoholic beverages. BYOB = Bring Your Own Blanket!